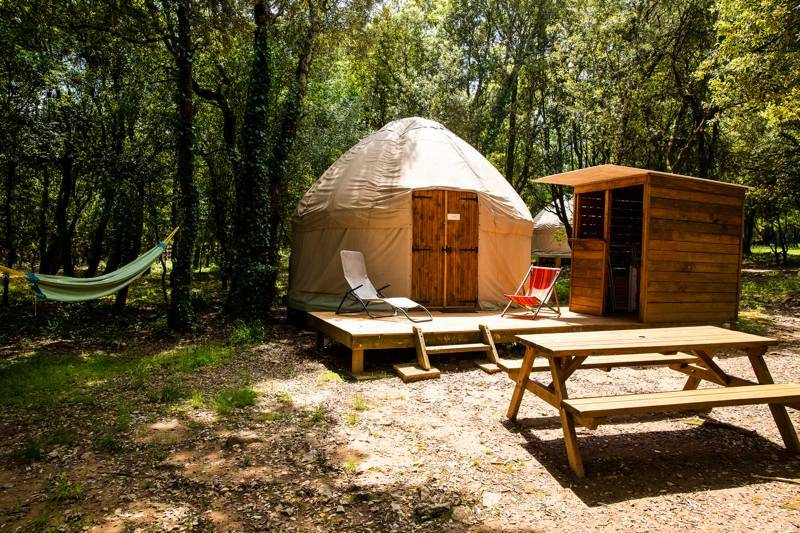 There are heaps of glamping sites in France with yurts and they're always popular with holiday makers looking for a little extra comfort. 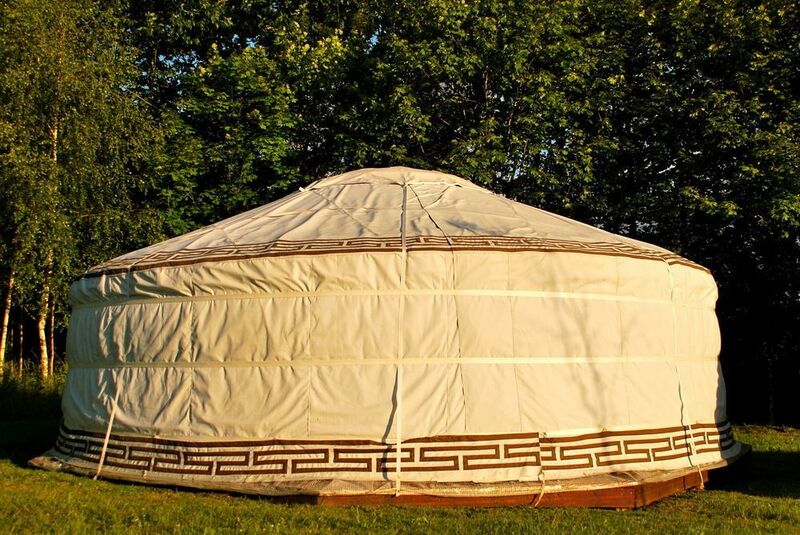 Based on a traditional Mongolian design, where a lattice-work of steam-bent wood is combined with a taught canvas covering, the circular abodes offer ample space inside for beds, wood-burners, furniture and more. 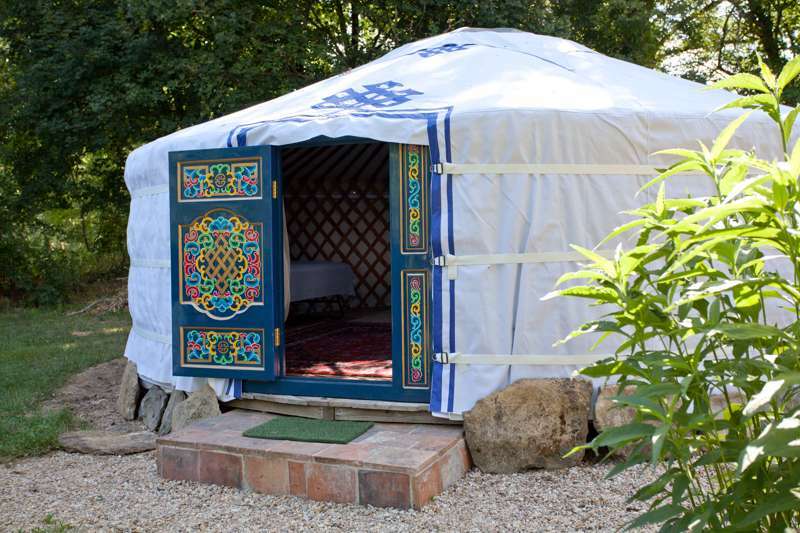 Nowadays, Mongolian yurts have made it across the continent and you can find them far and wide in France from the prickly Pyrenees in the south of France to Normandy and Brittany in the north. 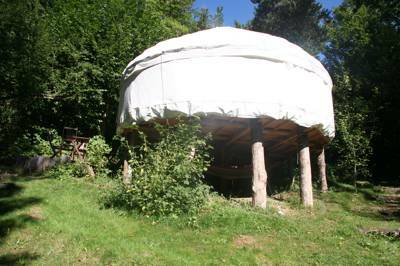 Below is a select collection of the very best yurt glamping sites in France. 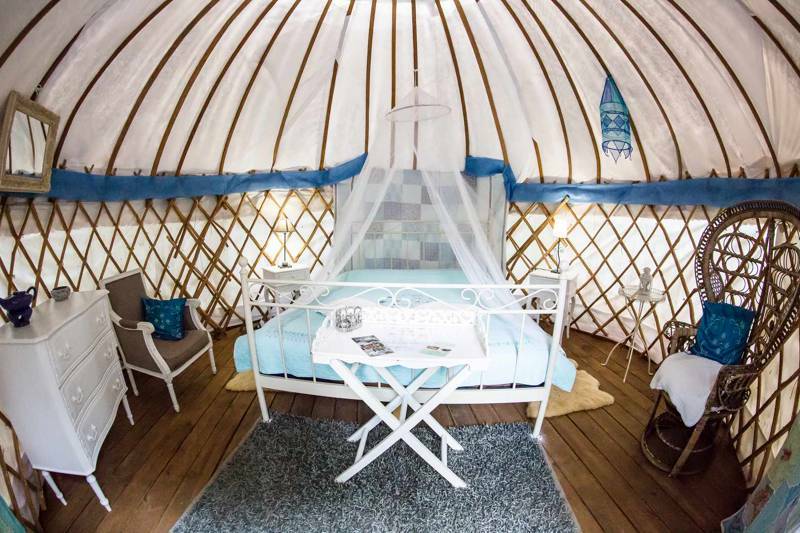 Browse our choices below and book your yurt glamping holiday in France today. A beautiful woodland yurt, ideal for a family of 4. Continental breakfast included! 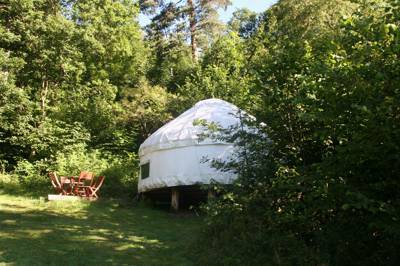 A beautiful woodland yurt, ideal for a family of up to 4. Continental breakfast included! A peaceful, secluded hideaway for 4 people set into the Aveyron Hills. 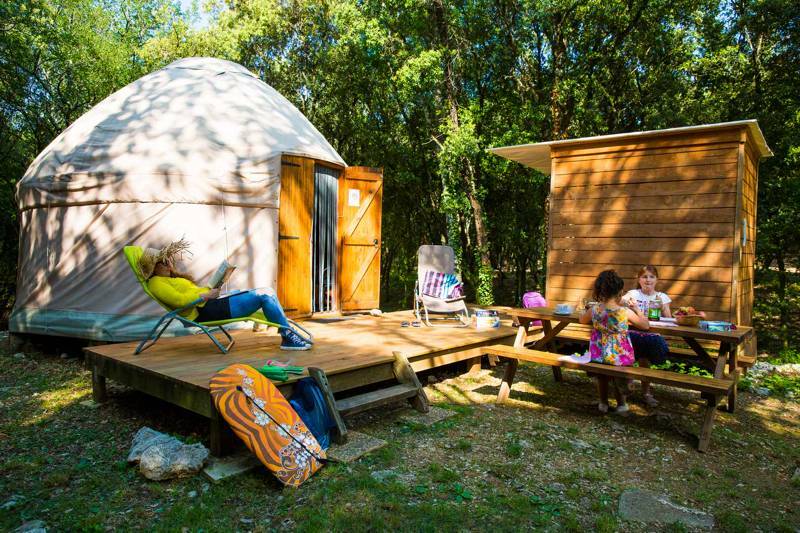 Yurt Glamping in France at Yurt Glamping in France, Yurt Glamping in France: Browse the best yurts in France, read reviews and book your glamping holiday for the best price.